The first and most important item necessary for your foreign trip / travel abroad is your PASSPORT. The Passport, which is issued to citizens of each respective countries for travel purposes, is an official document identifying your nationality, and is necessary for travel between countries or crossing national borders. For American travelers, PLEASE BE INFORMED that beginning this coming January 8, 2007, all travels to and from the United States, Mexico and Canada will now be required to present a valid Passport. You'll need to present proper documentation providing proof of citizenship and identity when you check in for international flights as well. Your travel documents and identification may be checked randomly on multiple occasions, so it is highly recommended that you keep your valid travel documents with you AT ALL TIMES throughout your travels. If your documentation is either inadequate or insufficient, you may NOT be allowed to board the aircraft for your flight, and may warrant undue delays and inconveniences on your part. It is the travelers responsibility to know what the required documentations are for international travel. For the most current list of accepted documents for U.S. citizen proof of citizenship and identity, please visit the U.S. National Passport Information Center website at www.travel.state.gov or visit the U.S. Customs and Border Protection (USCBP) website at www.cbp.gov for documentation requirements and other relevant information. If you're a citizen of another country and you intend to travel / visit the United States, it is recommended that you contact the nearest United States Embassy or Consulate in your country for the most current /latest updated travel documentary requirements. After deciding which country you want to visit, the next thing you need to know is whether the particular destination country of your choice will require certain types of Visas, usually depending on the purpose of the visit. Travel visas are nothing more than special notations and stamps that are placed on the passport page(s) by consular officers of foreign countries, which allow a person to enter and leave these countries. If required, you can obtain the particular visa from the appropriate foreign consular representative before your scheduled travel abroad. Allow sufficient time for processing the visa application, especially if applying by mail. 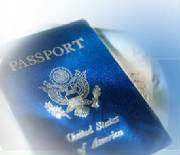 For Americans, further information about travel visas may be obtained at www.travel.state.gov. The site also provides information for foreigners /non-Americans wishing to visit the United States. These are government offices that help or provide assistances to travelers while in foreign countries. In the event of an emergency, travelers should be directed to their respective local consulate/consular office in that country. The consulate will be able to help travelers get in touch with other family members should the need arise. 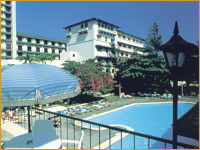 Local hotels, as well as local tourist information offices, should be able to direct you to the pertinent Consulate. Visitors to the Philippines will easily and almost always find the Consulate representing their respective countries. Meridian Time (GMT) /or Universal Time (UT). So, what time is it is now in Manila, Philippines ?